I started a new job a couple of weeks ago, and I think it’s safe to say that baking has kept me (somewhat) sane. When I come home from work and get messy in the kitchen, I forget about all the spreadsheets and systems and answers I’ve yet to learn. Intent on creating something delicious and beautiful, I get lost in the wondrous, refreshing process of making a little something sweet, with the dream that my small act makes the world sweeter yet. That very boy had a birthday this past weekend, and his enthusiastic moon obsession had determined the theme of his second birthday party. 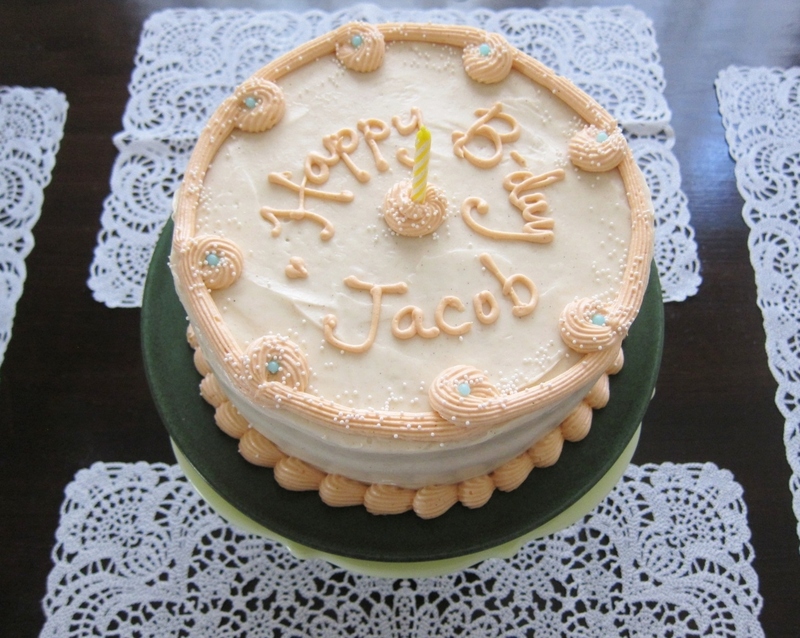 I was honored and excited to make the cake for him, and his mom and I agreed on the tried and true hazelnut cake. I split the batter into three layers (plus a dozen and a half cupcakes which I failed to photograph, but thankfully someone with an amazing camera and great talent took one shown here). As for the nutty cake layers, I filled them with vanilla bean cream cheese icing and decorated the top with a moon I made out of marzipan. 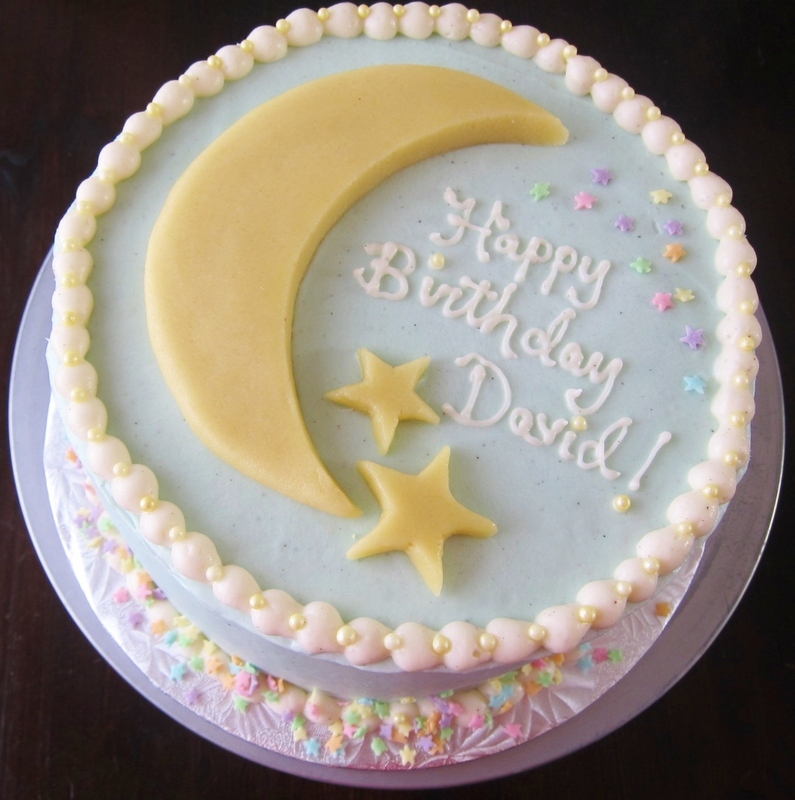 I’d reserved the crescent moon sprinkles for the cupcakes, so the cake would bear just one moon — and a few hundred pastel stars. Baking for celebrations brings me so much joy, and I hope I get to continue doing it for many years to come. I have to say, though, that a few tips I’ve learned along the way have made the process even more enjoyable. These are nothing more than some notions I remind myself of when I’m making a dessert to share — I realize they are well-practiced, well-known, and even fiercely declined by many. But they work well for me, and I thought this would be a fine time to share them. 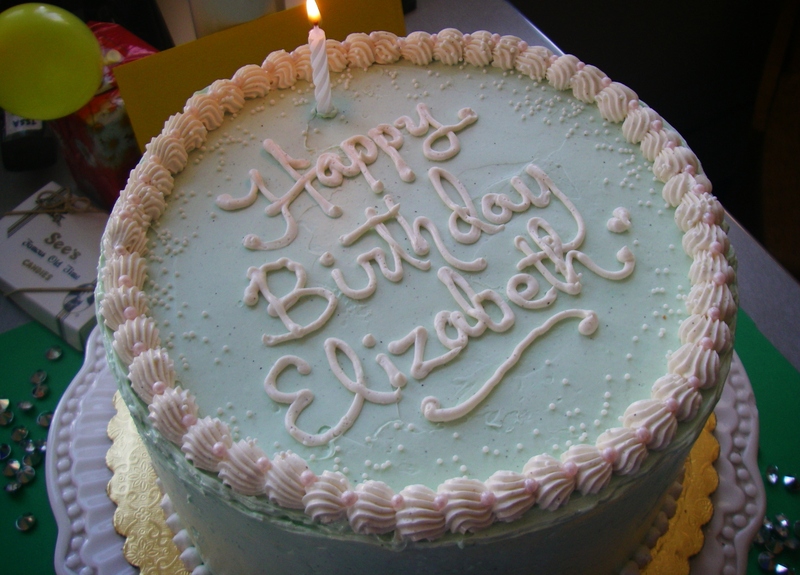 Here are my top three baking tips, with photos of various birthday cakes I’ve made over time in between (why not?). 1.) Never break your eggs directly into your batter. When I bit into a piece of crunchy eggshell in a dessert at a trendy restaurant a few years ago, I wondered how many times I’d done that to others. I quickly decided I’d break my eggs into a clear container before adding them to whatever I was making. Sure enough, I’ve found little pieces of shell in my glass bowl time and again — fragments I wouldn’t have seen had the eggs gone directly into the batter or dough. Needless to say, it’s worth dirtying the extra dish. 2.) Know when to simplify, and when not to. I am a fan of minimalism and I love the idea of keeping things uncomplicated, especially in the kitchen. So I use my mini grater for citrus peel and don’t own a zester. I scoop cookies with a spoon or my hands instead of a cookie scoop. I use a sieve as both a sifter and a strainer — I like having one item instead of three. But on the other hand, I’m an advocate of having at least two sets of measuring spoons and cups for baking. It’s simply frustrating to reach for 1/3 cup of flour when you just used your only 1/3 cup measure for oil. Having two sets doesn’t take up too much space, and it just makes baking easier. Likewise, two words: parchment paper! 3.) Give yourself plenty of time. When baking almost anything iced, I consider making it a two-day creation, or at least two half-days. This practice not only multiplies the luscious fun of baking; it also makes for a smoother, less-tiring, frustration-free ritual. 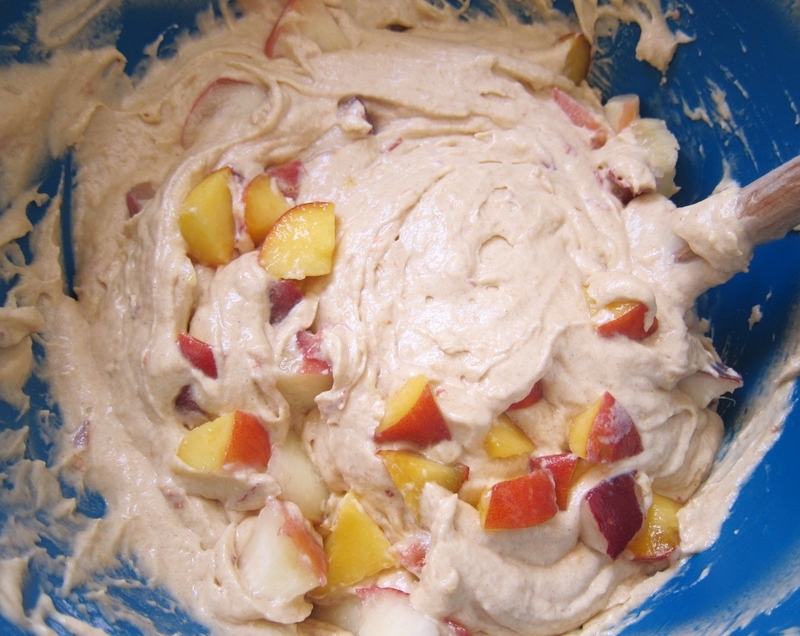 Sure, I can make desserts in one day or in a few hours, but I have too many memories of digging for a clean frosting bowl in a mountain of batter-dripped dishes, frustrated by my throbbing feet, and worn out for whatever obligations I have later that day. So when time allows, I tend to start the night before. I make cake layers and let them cool while the first set of dishes get washed and ready. I rest. Then I start fresh, making icing that has no chance of melting into cake or sliding off hot cookies. Similarly, I try to set out all my ingredients — not just the butter — and let them come to room temperature before I start to bake. (I’ve seen chilled eggs turn melted coconut oil into chunks, and cold cream cheese that won’t beat smoothly into butter.) I don’t mean to sound uptight or privileged; time is a luxury, and planning ahead isn’t always realistic. But when it’s do-able, a little extra time can make baking even more enjoyable than it already is, often with more delicious results. 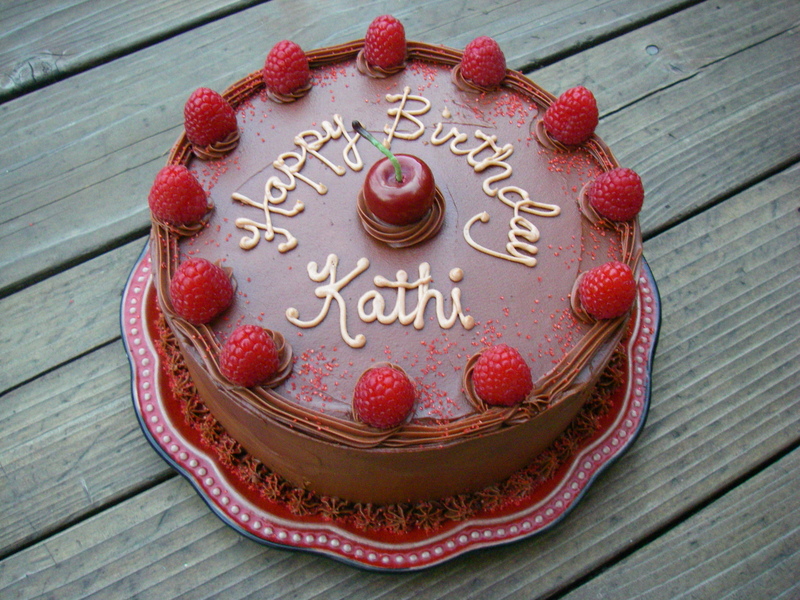 This entry was posted in Sweets and tagged baking, best practice, birthday, cake, celebration, cinnamon, fresh peach, marzipan, moon, peach, peach cake, summer, summertime, tips. Bookmark the permalink. OH I don’t necessarily like it 🙂 he he I just like to cram a lot into little time. Thank you, dear Erica!� Your kind words make the world a more beautiful place. What gorgeous cakes! Also, the peach cinnamon sounds delectable! I must admit that whenever I experiment, I usually end up with a bit of a flop, but then I’m too flighty to try making something again. I guess it’s because I don’t have an office to take my cakes too (but Eric’s co-workers have mentioned that they wouldn’t mind being inundated with cakes…). Thank you for sharing your tips! 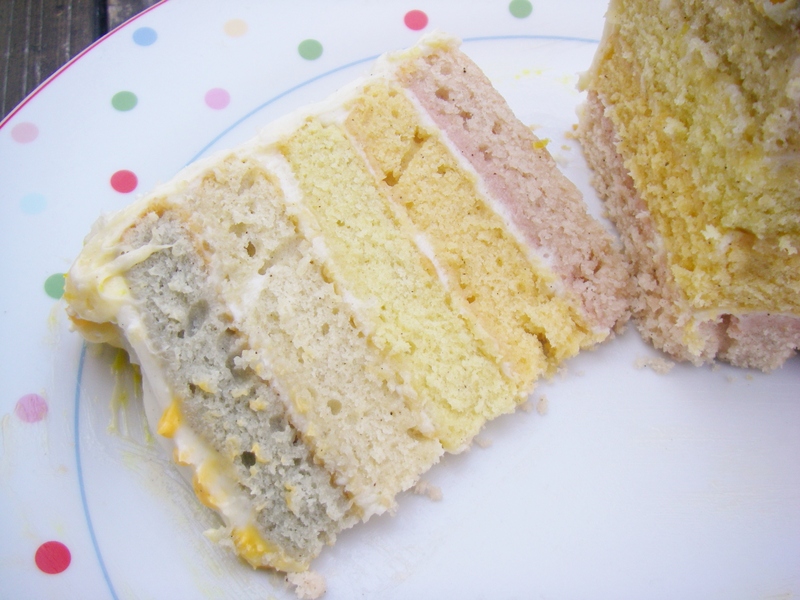 They are really helpful for a layer cake novice. I consider it a great success when my layers don’t collapse on each other like an earthquake. Do you trim off the tops of your layers? Or bake at a lower temperature to make them more even? I am sure that some of my baking problems could be solved by patience and allotting more time for the process, but I would love to hear how you make your cakes so absolutely lovely! Thank you, Cameron! Having an office to bring experiments to is definitely helpful. I know Eric’s office mates would love your culinary creations! 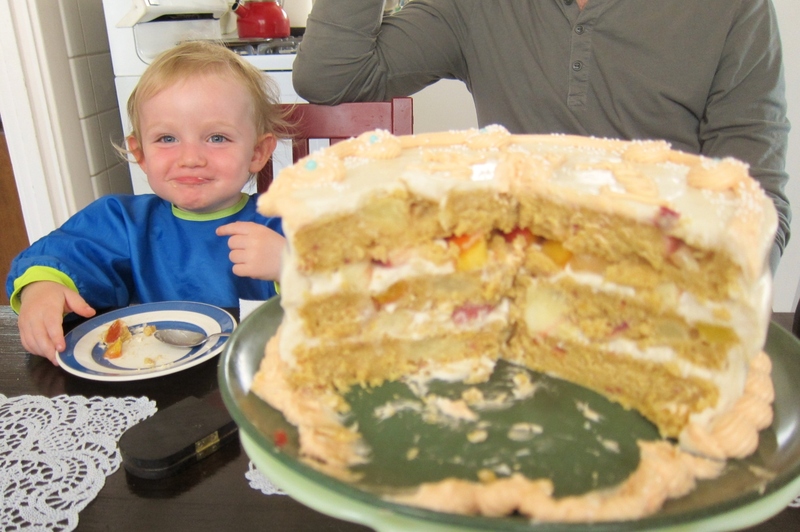 I actually don’t trim my cake layers, nor do I lower the temperature. I do let them cool completely in the pan, then flip them over so the flat bottom is the top. 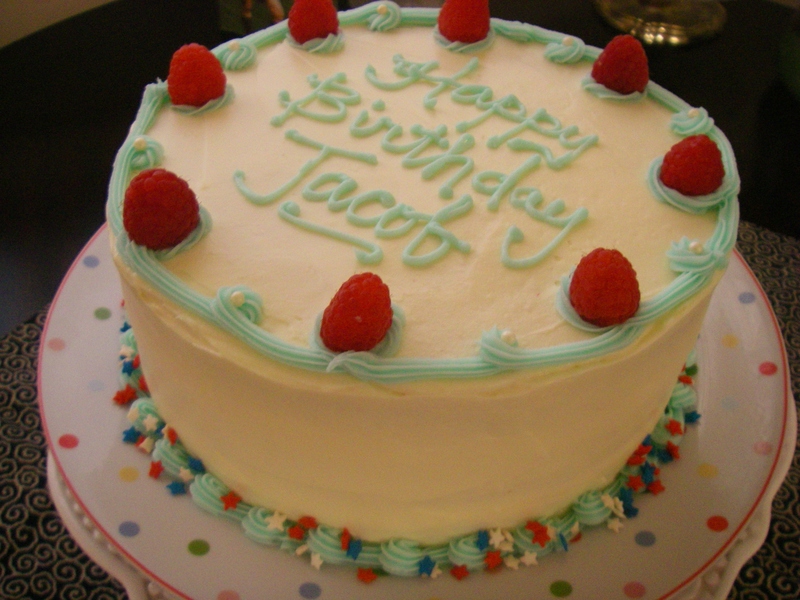 I just use frosting to make them smooth, although, if I had a recipe that really domed up, I might trim the top before flipping it over. I tend to line the bottom of the cake pan with a circle of parchment, oiling before and after. When I don’t have parchment, I butter and flour the pan. If you only do so on the bottom (not the sides), the sides of the cake stay straighter, but you have to use a sharp knife to loosen them. Wow — I didn’t mean to go off on a tangent! Obviously cake is still on my mind (as always!). 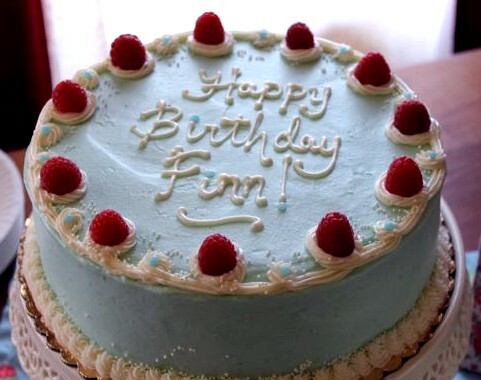 Beautiful cakes and great tips. 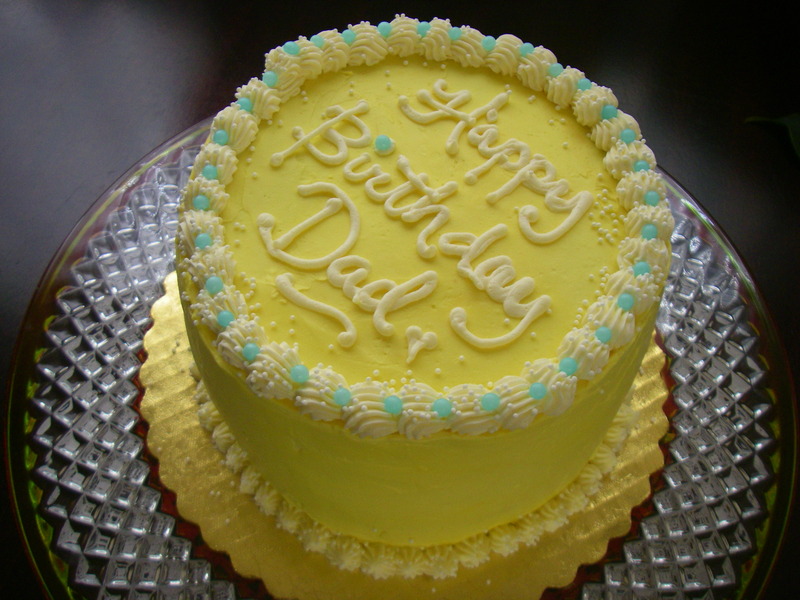 I often make the cake a couple of days in advance and put it in the freezer til the day it needs icing. That way it stays completely fresh but you have already completed half the task with minimal stress and you know it’s done. Thank you! So true that working ahead of time reduces the stress — amen to that! Where would we be without the sweetness you bring to everything you do? Thank you, darling, simply for being you — and making the most delectable sublunary treats in the bargain! You are the sweetest! Your kind words and incredible support richly inspire my creations and keep me uplifted along the way. And D’s enthusiasm for the recent cakes was especially, wonderfully uplifting!